Below is a copy of an email sent I to a senior worker (Alistair Webster, Director of Policy) from Mr Shorten’s office, whom I met at a Town Hall-type meeting on Monday 4th June 2018. Rather than give a political talk Mr Shorten responded to questions from the audience on a range of matters. The LNP has no policy on climate change, and Direct Action has proven to be shambolic as anticipated by Turnbull prior to becoming Prime Minister. My wife and I were most impressed with how Bill was able to answer off the cuff questions last night. We certainly hope that Justine [Keay] is re-elected. My concern is that climate change is not getting enough attention; it has been subsumed by attention to energy requirements by the LNP. I believe that Australia is not taking the matter serious enough. Professor James Anderson who made us aware of CFCs creating the hole in the ozone layer states we are in dire danger. World wide we must spend huge amounts of dollars to ward off extreme climate change, and have only a few years to do so. Paleoclimate research does not present a happy picture, as Dr Burger discusses in his preliminary comments attached to research yet to be published. Dr Burger’s research clearly provides convincing evidence in the role greenhouse gases had in causing mass extinction at the end of the Permian period. He reaches his view through chemical and mineral artefacts he found in the samples of rock he obtained. Permafrost is thawing, which potentially provides further danger in pingos exploding in Siberia; to date 7,000 pingos have been found. One of the original pingos to explode was found to have 9.6% methane in the atmosphere of the crater formed by the explosion. Normally methane is measured in parts per billion. While not all of the pingos discovered might have methane gas, they do present concern. Copy of article given to you last night with hyperlinks. My main worry about climate change is that people will be dislodged through extreme weather events when lack of fresh water, sea level rise, and crops being damaged with all sorts of nasties through flooding, create a dystopian world where insurrection, and break down of communities will be outcomes. A major tipping point is an ice free Arctic Ocean which is extremely likely to happen within thirty years when taking into account the most conservative scientist’s view point. Grounding lines of ice sheets in Antarctica are going in the wrong direction. Not something we would wish our children to face. There has been coal seam gas extraction in Oz for some 30 years. It is estimated there will be 40,000 wells in Queensland in 40 years. And of course there are other parts of Oz involved in a process which sinks holes up to 1000 metres lined with concrete and steel by which the gases are forced to the surface. Various chemicals and water are used and other chemicals are released as well. The gases are mainly methane, other hydrocarbons, carbon dioxide and nitrogen. Methane is 80 times more powerful as a greenhouse gas than carbon dioxide. Proponents claim CSG is better than coal because it produces less carbon dioxide. Opponents fear leakage of gases, such as methane. They also fear contamination of aquifers and the production of toxic chemicals. Layers in the subterranean strata are disrupted. Those drill pipes go down as much as 1000 metres. They are left in the ground after the gas has been extracted. It is feared that good agricultural land will be degraded. Have a look for yourself at aerial photographs of areas dotted with drill-heads. Each of those has to be rehabilitated. What the farmer is paid is a fraction of the profit gained by the extractors. At what cost to the world? In the Narrabri discussion seen on SBS recently, the question was asked about the concern for the environment expressed by the extractors; why then did they not invest in renewables? The answer is that they are, but how much was not clear. This is about as close as we got to mention of climate change in this discussion. Proponents are selling the project as an “opportunity”, but what that opportunity is, apart from some company investment in the local town, is not clear. The gains are all with the extractors, who walk away when the gas has gone. There is no point raising matters about CO2 and methane levels and clear evidence of climate change throughout the world. So many people with vested interests in coal and gas are not listening. But have a look at what is happening and you will not see a lot. Everything is happening unseen under the ground or in the air. Ask about those burning flares. I’m glad people are continuing to raise the issue of climate change with the ALP. It annoys me when I finish reading an AIM article and I’m asked to rate which issue the APL should be concentrating on, and all of the choices have to do with social inequalities and things like that. I would have thought climate change trumps all other issues in terms of importance but we’re asked to rank minimum wage against domestic violence and things like that. Thanks for the description of a real shorten hope he surfaces often. Climate change will gain no votes lose many and give a boost to the debt boys. This presents a way forward. For my money the only way forward is their debt double with the help of the greens. Any sensible and reasoned replies to your letter? I have not responded to that particular mini-poll for the very same reasons. The ones randomly cycled at the end of each article – which I very much enjoy, BTW. Except for the one which gives choices of what we believe Labor should focus on and does not include environment. Hoping this helps. Oh, those random ones. Silly me. I still don’t think I’m mentally quite with it. With the poll in question, the choices were actually from a union brochure that a friend gave me. He wanted to know which of the choices in the brochure were important to other people. I must set about creating news polls, btw. Just gotta think of what I can make them about. I’m so pleased that people enjoy them. They were added for reader engagement, which definitely has worked. A quick start to new polls would be to improvise on the existing ones… even a poll about what we would like to see polled. I have had acknowledgements of receipt of email, I had forwarded the email to a couple of Labor politicians present at the meeting. A Four Corners program of some years ago featured abandoned fracking sites in Queensland that had been capped, though they were found to be releasing methane. Though emissions are increasing under the LNP at present, Turnbull has acknowledged that climate change is real. That does not make sense to put it mildly. Here’s hoping you receive more than the usual acknowledgement. Regarding Kaye Lee – always excellent articles, in fact, time for yours truly to remind Josh Frydenberg of a few facts. AHHH, Josh Frydenberg.. Just the man to help stop this scourge of ocean plastic., I mean, he does do environment ?? Scientists are being reduced to tears as the carcasses of endangered birds pile up around the beaches of Lord Howe Island. The plastics we use for just a few seconds – straws, lids, balloon ties – are causing these birds to die slow, painful deaths. Scientists found 274 pieces of plastic inside one bird. Just 20 minute ago I saw part of an SBS program made in 2012 in the Broome – Kimberley area where people were protesting fraccing. They described it as an attack on the Earth. One protestor said that any people threatening the aquifers and the artesian basin should submit to psychological examination. Raising the issue of CSG is not taken very seriously by some because they believe CSG is necessary to reduce energy prices. Coal is promoted for the same reason, with only token recognition of the reality of climate change. We can see the clear failure of such a token scheme as Direct Action. What is being promoted is old technology. Renewables are becoming cheaper. For the coal/CSG proponents, renewables are not assets easily portable in large quantities , whereas coal/CSG might be sold overseas in millions of tonnes – but are in decline in the short term. Meanwhile, the dollar rules. 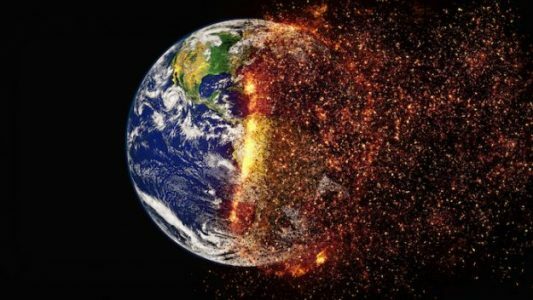 That humans can have bad effects on the Earth is clearly demonstrated by the broad reality of climate change, the destruction of the environment. loss of animal diversity and turning the oceans into plastic soup. I know how important it is for a combined government acknowledgement of Climate Change – so unfortunately named Climate Warming originally as this name is used still by many. I am old enough to recall European Acid Rain effects which resulted in dramatic factory exhaust reductions. These changes were legislated but pressure from individuals and local government the equivalent of our state governments was extraordinarily effective for the 1970s. Individuals are installing solar panels but when I recommended to my former employer The Department of Defence that solar panels would reduce the enormous Defence power bills – even on small Army Reserves buildings in country locations, I was informed that solar panels lasted only 10 years and therefore would not be considered. A second email, – not responded to – where I suggested panels should be made in Australia creating jobs and innovations. There are a multitude of little steps the individual, local governments and companies can make which would stop ridiculous overuse of non-recyclable items. My IGA sells fruit and vegetables in on foam trays then wrapped in plastic. I do not buy fruit and vegs from IGA, but travel 2 kms to a market gardener’s store where I can place individual items into my fabric shopping bags. I prefer a butcher who wraps their meat on paper, and a deli who serves cheese in the same way and is happy to fill my own battered tupperware with feta or ricotta. These are old suggestions that have been made over and over again in the past decades – yes decades. We KNOW climate change is happening, remembering what the weather was like on your birthday even 20 years ago makes it obvious, or choose another memorable date, wedding, Christmas etc, but all these simple pointers are drowned in the cries of coal-fired power stations demanding favouritism, to destroy environments from digging the coal to exhausts from smoke stacks. Lateral thinking is vital not only for energy creation, but also mining activities, recycling strategies – at least two recycling plants located on opposite sides of Australia be it East and West or North and South, located in a region where there is a need for employment – Elizabeth in SA, or places such as that, clear indications that reductions have occurred in exactly the way the NBN is being promoted at the moment. Finally, working at recycling plants and with recycled materials should not be a shameful job. Payment should be no different for a skilled worker, for sorting needs to be done to a meticulous level, not the type of job for just sheltered workshop employees with limited employment options. Employing skilled or semi-skilled employees should also end up with employee generated ideas for improving the workflows and actions as so often happens. …when shopping in Dutch supermarkets decades ago, you were not given plastic bags to take your purchases home, you had to carry your own fabric bags or cane baskets for that..
Also you brought your clean bottles and jars back to the shop, and what they paid for them ,was automatically deducted from your bill…. Change comes slowly to Australia…oh, sooo slowly; there’s talk by some progressives, but there’s no action. Off topic but where’s Kaye Lee and John Lord? Have I missed something? Hope both are well. MikeW i was wondering too. Last Saturday I could not access John Lord’s article – message said it was no longer available. I also miss Joseph Carli. He writes such beautiful stories and I can really relate to them as many are from my home state. I hope they are all well and will be back. Same here, I have been puzzled since John’s last article disappeared; I miss all three: Kaye, John and Joseph. it is a fine thing that people are trying to do their best to reduce the effects of climate change, but with the actions of so many carrying on with business as usual, it is a battle we could well be losing. Plastics have reached the Antarctic wilderness. Scientists, therefore, are looking for other planets for us exploit. Beg to differ (just a teensy bit). Some scientists are being employed to study other planets which fit the “goldilocks zone” for Earth-like planets among the plethora in the field of astrophysics and this is not a bad thing. Other scientists are working hard to further understand how home planet Earth works and how to maintain it – in spite of the campaign of anti-science. It is the vested interests we need to keep an eye on. No one likes to hear about problems (climate change) when there is no solution. Shutting down all industry, would stop further climate change, but would collapse civilization. So not a real solution. Renewable energy is also not a real solution as it requires non renewable resources to be built, maintained and replaced. Producing electricity on a large scale is not sustainable with fossil fuels or renewables, a simple fact that many won’t accept. Renewable energy is nothing more than business as usual, (to continue the use of non renewable resources that damage the biosphere). Electric vehicles still need plastics, tyres, lubricants, etc that are fossil fuel based. You forgot to add that “too much power from solar panels will blow up grid”. You forgot to add that “climate change won’t be a problem when humanity moves to another planet”. I fully expect civilisation to collapse anyway. We spend next years resources for nearly half this year, we refuse to reduce luxuries, we are uncaring of life, human or other and I have observed the increasing callousness of our own society with mingled horror and sadness . Meanwhile we tolerate the excesses of the obscenely rich and are pronounced envious if we compare this with real hardship in our own wealthy nation. Jesus wept!